Rent Unexpected Productions' Market Theater | Corporate Events | Wedding Locations, Event Spaces and Party Venues. Unexpected Productions and The Market Theater are located downtown in Pike Place Market, in the heart of Seattle's Tourist District. Unique event venue located right in the heart of Pike Place Market at the Gum Wall.Conveniently located in downtown Seattle in the center of the tourist district, next to the gum wall, the Pike Place fish market and Rachel the pig! Easy access from I-5 and I-90. 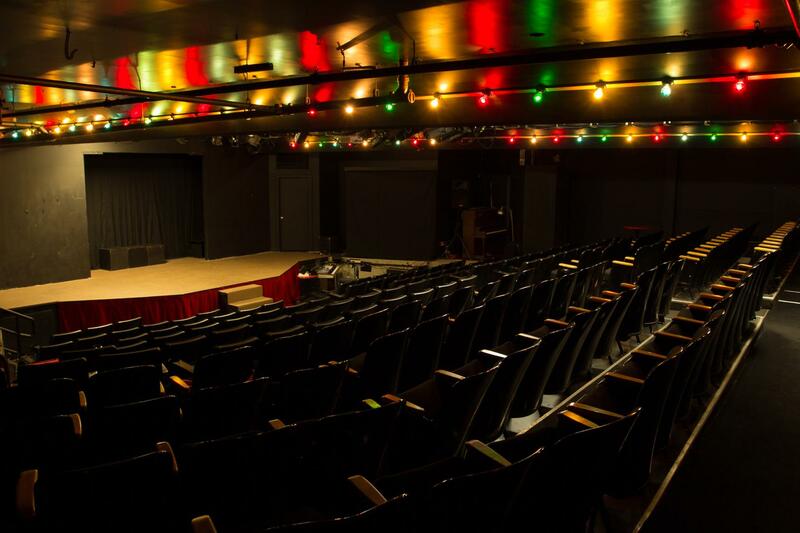 Unexpected Productions' Market Theater can seat 220 guests for corporate speaking events, meetings, performances, rehearsals and other theater style events. Outside the theater you'll find a comfortable lobby and a full bar. Piano and keyboard available on site. Some table seating available.